Lainey has taken on a new persona....bag lady. She insists on carrying a shopping bag wherever we go. Usually with 5 rubber ducks in it, two lambies, a baby and Meow Meow. She has a cute backpack and a darling baby bag. Nope. She wants a paper shopping bag. Maybe she's working on her image. Carter went on an exciting adventure recently at Union Station's Science City. More on that later. This picture makes me nervous enough. Drumroll, please. Our 3rd kiddo is potty trained! I've been stalling Lainey ever since Jack trained.....wanted him to enjoy some "big kid" time before Lainey stole his thunder. Randomly decided to give it a try on Saturday and we haven't looked back. Carter was nearly 3 years old before we even tried with him. Jack was 3.5 years old. Lainey is just past 2. Another chapter in the book of "girls are so different than boys." And, all of this potty training business means we'll need to move her from her crib soon enough. She still seems so little to me. And, she's our baby. I don't want to do it. I told Shannon about the potty training and she asked when the "OMG, I don't have babies anymore" meltdown will begin. I can always count on Shannon for the truth. Little punkin pie is so sad when he doesn't feel good. No meds needed.....it's just a little virus.....no temperature read at the office. And, Lainey is not sick, but don't tell her that. She is SURE she is. Our pediatrician's office finally had the H1N1 vaccine in, so I had the kids shot. Carter gets his second round tomorrow at the nurse's office (love Kansas schools!). Little ones go back in a month for their booster. Our doctor said that next year's flu vaccine will include the H1N1 strand......so consider that when making your decision this year whether or not to shoot your kids. No big agenda for the weekend. I've been working on the house a bit and hope to finally tackle the gallery wall I've been planning for above the fireplace mantle. What a beautiful family! Enjoy them now...my youngest is 13!! Whew, they grow up fast. I hope they are well soon. There is NOTHING sweeter than a sleeping kid, baby, maybe person. I just love the peacefulness sleep brings to their face. Poor baby, I hope he feels better soon. I am sad everyday that there are no more babies, but getting rid of the paci was the saddest for me and when I see a two year old type with their paci's, it tugs on my heart. I have a feeling there will be more for you. You will be crazy. But there will be more. your children are adorable.. I hope that ur son feels better!! congrats on the potty training! I would think that would save some $$. Maybe it's a Southern thing but I notice that you have a black and white baby doll for Lainey. Love that...way to teach non-racism early! As for Lainey being sick.. that's cute and you'll have to tell her about that when she's older..
My Mom has told me funny stories like that latley. BTW - after the wedding I'm going to attempt my own gallery wall too! Document! I am going to need help with the measuring, etc. Casey....you MUST frame that picture of Lainey with the Nordy bag in her little hands....OMG...Precious! naps. i totally miss those. we have the same little potty...i had to turn the music off though because i think it's posessed. I am impressed with your potty training skills....I might be calling you one day for advice. I honestly can't even get over how darn stinkin' cute that little Lainey is... her paper shopping bad addiction? too funny!! And yeah... that picture of Carter on the bike rope thingie... sheesh! I would've had a heart attack. Hope Jack is feeling better soon... and Lainey too (since she is also *sick*). Congrats on the potty training! My two-year old little boy is NOT ready for it yet, but he has left his crib for a twin size bed. His crib is still up in his room, but he hasn't slept in it for months. Hope your little boy feels better! Poor Jack - I hope he feels better soon! I so know how you feel about the crib - I kept Corbin in the crib as long as I possibly could - I did not want him to not be a baby anymore!!! Hope Jack is feeling better soon - Bia was sick for 4 days this week - no fun! That first picture is SO stinkin cute!!!! Glad you guys got the vaccine. I guess that was one thing that was okay about all of Fiona's ear infections, we got the first dose in December when the peds office first got them, hopefully we'll get the second dose on Monday at her 18 month WCC. Hope Jack is feeling better soon! Aww, poor little Jack. They both look so sweet sleeping! Hope he feels better soon! Aww, poor Jack! Hope he feels better! I also love the pictures of sleeping babies! I take them all the time of mine. There is just something about that stay of peace they look like they are in. So sweet! Congrats on the potty training! Ashlyn didn't potty train until she was 3! Now we have issues... dear me! WOW! No dotor visits in 10 months that is awesome. I hope they get well soon Congrats on the potty training. I loved all of the pictures and can't wait to see more from the museum! Okay, first off: Love the fact that Lainey is carrying a Nordies bag. I mean, if you're gonna be a bag lady, you might as well get a bag from one the best stores. Very proud. I love that she has her little tongue out when she sleeps. So cute. Congrats on the potty training! And I can't wait to hear about that pic of Carter....little daredevil. Following your blog this FF! Your kids are so cute. Sleep kids are so precious. Thank you for sharing your family. Potty training is so different between boys and girls. It is just amazing the difference. Good job!! Mike stayed in the crib even after he was climbing out of it. Then we sawed off the legs, took off the front and he had the same bed just closer to the floor. We only had one so could do what we wanted to the old crib. Enjoy your littles ones, they grow up way to fast. Mike is 18 in just a short month. Time flies when you're having fun. Why does potty training = get out of the crib? Or are you just saying she's getting older so that's just a natural next step? Her w/that shopping bag is so cute (especially in that coat!). My (15-year-old) baby girl insists on carrying the shopping bags at the mall still. She's always been obsessed with shopping bags. Sweet baby Laine. At least she has Nordies bag. Right? Aw, too precious! Hope you have a lovely and relaxing weekend! Poor little, Jack. Lainey is just too cute--the hat, the jacket. . .killing me! I Totally call Ellery a bag lady. She carries bags around the house, the car, outside--full of STUFF! It drives me nuts--we often can't find a special toy or blanket and then she suddenly remembers she put it into one of her special bags. Lainey sounds like Ellery's perfect playmate! Beautiful family. Looks like you have a budding fashionista on your hands there. Just stopping by to say hello. I followed you last week. Thank you for the comment about the necklace. If you are really interested let me know. Precious kiddo pics! Congrats on such quick potty training. Spill the secret! Follin' ya from Follow Friday! Congrats on potty training! We moved Kamree to a big bed at 27 months! It was easy peasy for her! went to see the blind side last night and slapped my hubby crazy when the valentine's day preview came on. i was shouting, "i want to see that!!" over and over. (thanks for reminding me about it!) and what did you do to potty train lainey, who is precious by the way! 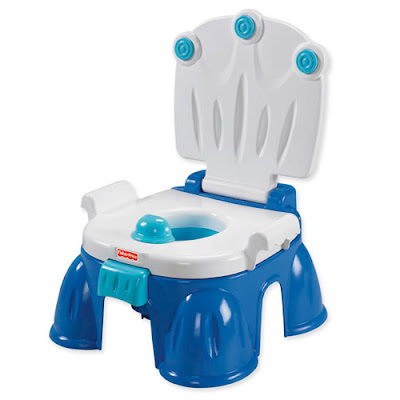 i can't wait to potty train sophie. christopher was 3 when he finally caved, she just turned 2 this week. but she knows about it.